Citing “increasingly complex code trickery to make the WordPress dashboard work,” the company announced an end to IE6 support. 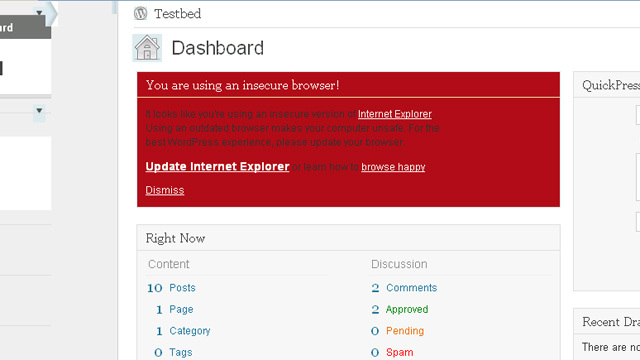 The dashboard will still load for IE6 users, it just won’t function very well. IE6 users will be alerted that their browser is outdated and given direct links to browser updates or to download an alternative browser via the Browse Happy website.